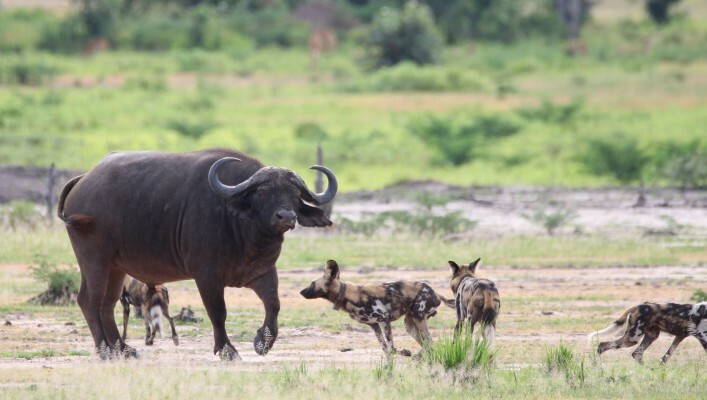 The rains have somewhat been scant this season but recently have fallen and dramatically changed the landscape in the Luangwa – much to the relief of both humans and animals. 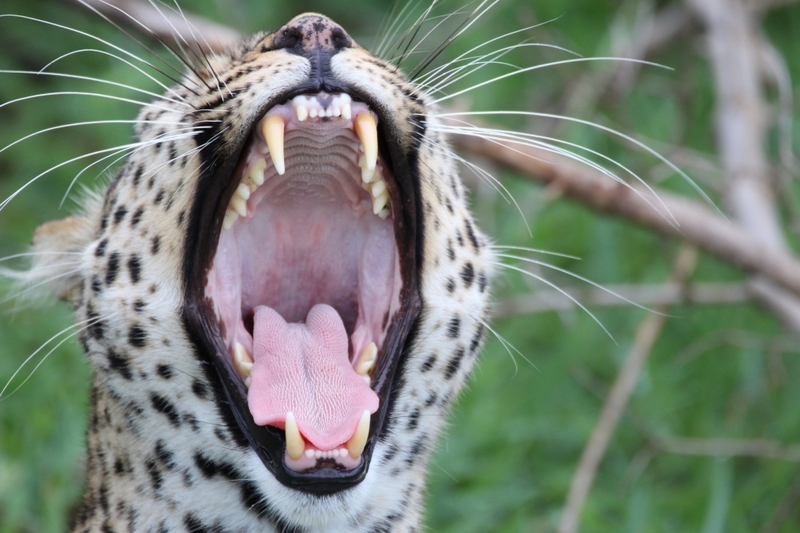 Recent guests to Robin Pope Safaris Tena Tena camp shared stories of the great game they saw; sightings of everything from yawning leopards, lazy lions, sprightly zebras to happy elephants and much more. 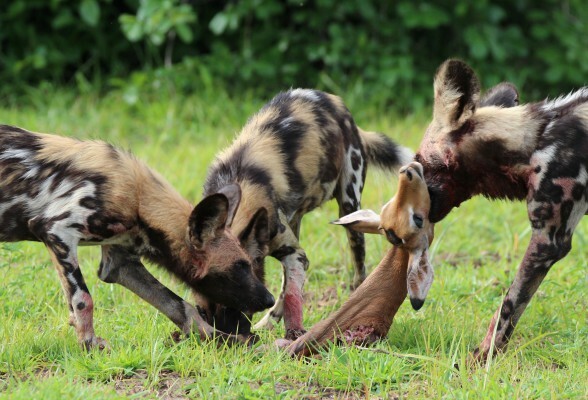 Much to the envy of most, their sightings also included the elusive wild dogs! The guests were sitting in the game viewer on the main road watching a couple of lovely elephants going about their daily business of seeing just how much they could possibly eat. Then Fred (the safari guide) gets up and says, just take a look behind you. 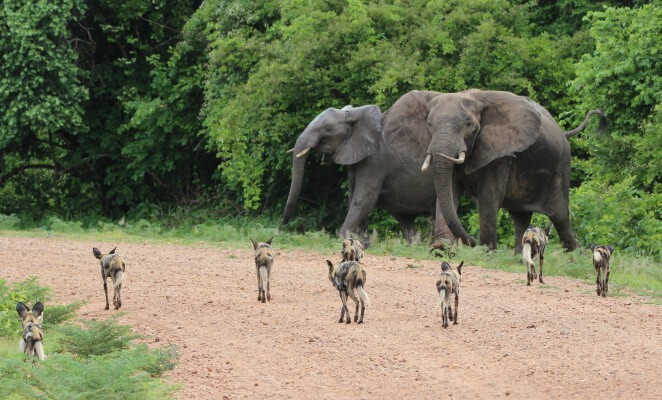 Everyone peered over their shoulders only to see a pack of 19 wild dogs just gently trotting down the road, around and past the car, then straight down the road towards the elephants. Needless to say the elephants became a little weary and nervous but the dogs soon left them alone and scooted off into the bushes. Fred then put on his tracking hat and found them a few minutes later this time having found another big animal to suss out- a buffalo. And then it all got rather serious the fun and games ended, the heads went down and proper hunting mode came into play. The guests sat and watched as the incredible sight just unfurled in front of their eyes and the pack hunted down an impala. Within seconds the entire animal had been consumed. They really are phenomenal creatures and, wow, what an incredible sighting to have had of them. So what was that again about the Emerald season not being a good time for game viewing?